May 6 - 12, 2019, in Lincoln City, Oregon. Low Cost … Do it Yourself for less $10 sq ft.
Moveable,,, Build here - Move it there. It is built on skids. It may place on a flatbed trailer making it like a Travel Trailer. It does not have to licensed like Travel Trailer. Super Insulated … Insulated AirCrete floor. The insulating R-value of Air Crete is dependent by the ratio of cement to foam mixture. This ratio can cause the R-value will be 3 – 6 per inch. The floor has 6 inches of Air Crete. The flexibility of Design …. 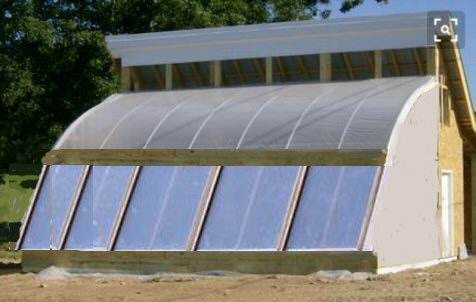 The rest of the Module (8ft X 8 ft) may be either greenhouse or living area. Earth Auger Toilet© …. The Earth Auger was designed based on work by a retired professor at the University of Washington and funded by a Gates Foundation Grant. This is a pedal-operated dry toilet. The urine is diverted and stored. The feces is diverted and stored. The main innovation with the toilet is the mechanized, foot-pedal-actuated dry-flush system and sawdust delivery system that uses no water. You must supply your lodging and personal expenses. There are lots of tent and RV spaces close. There are a few Private bedrooms and a private bathroom available at the WorldMark Resort at $550 for the entire workshop. The Workshop will be hands-on. You will be working at the Workshop, bring your work clothes and gloves. We have discovered a low-cost method of building tiny homes. It is called Air-Crete. It is Portland Cement and Dish Soap. Non-skilled workers can use this method to build affordable housing. We will be offering a Free 30-day Tiny House AirCrete workshop starting Wednesday, March 13, in Lincoln City, Oregon. You must supply your lodging and personal expenses. There is only one private bedroom available at the Center at the cost of $550 for 30 days. Oregon like the rest of the United States is suffering from an affordable housing shortage of more than 24,000 units, and many in the state hope tiny homes could fill the gap. We have discovered a low-cost method of building tiny homes. It is called Air-Crete. It is Portland Cement and Dish Soap. Non-skilled workers can use this method to build affordable housing. We will be doing the modules to build a Sustainable 400 ft Tiny Dome House. We have discovered a low-cost method of building tiny homes. It is called Air-Crete. It is Portland Cement and Dish Soap. Non-skilled workers can use this method to build affordable housing. 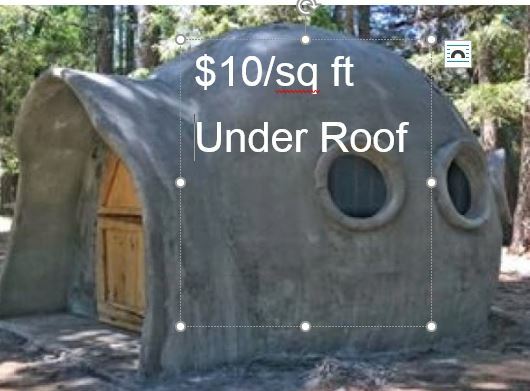 We will be offering a series of Free workshop Wednesday 1:30 – 4:30 pm Feb 6, 2019, in Lincoln City, We will be making the modules to build a Sustainable 400 ft Tiny Dome House. CLICK HERE TO SEE WHAT THE SUSTAINABLE LIVING CENTER DOES. We research the areas of food, water, energy, and shelter. Starting in March, we will be offering a 30-day intern program in Air-Crete at the cost of $450/month. ¬¬ncludes a private bedroom and all workshops. This room is in a house on the banks of the Siletz River with free watercraft available for Kayaking, Crabbing and Salmon Fishing. This room is only available for one month for a person who wants to learn how to live sustainably. This is our way the Sustainable Living Center of Oregon is introducing people to a sustainable lifestyle. 1. Private Bedroom shared bathroom, kitchen and living room at $450/month. One month is the maximum stay. After one-month, other living arrangements can be made at other locations. 2. Up to 10 hours/week of free Sustainable Workshops concern existing sustainable Air-Crete lifestyles designs. 3. Up to 15 hours/week of free supervision on new Sustainable Air-Crete Projects. Only people who are interested in learning how to have a Sustainable Lifestyle should apply. You must complete the online Application and the attached "Way of Working" form to be considered. If you do not complete these forms, your application will not be considered. The only additional cost to you will be your food and personal expenses. There is no cost for the material costs, tools, and instructions for the Workshops or Research Projects. The Center is on the banks of the Siletz River near Lincoln City Oregon. All workshops and projects are at the Center. The Center is financially self-supporting by renting Kayaks and Crab Catamarans. • Phone service or cable not provided, but the internet is available. • No Dogs or Children are allowed, but Cats OK -- dogs and children allowed at the RV sites only. as it encourages economy, and discourages waste and feelings of entitlement. 1. We are a research center to help the good get better and have a quality sustainable lifestyle. There are two advantages of furnishing everything. Increase Your Success Rate - By doubling your failure rate. Got an idea? Try it. If it fails, you learned something. At the Center’s Laboratory, since all the material, tools and money are furnished free, what do you have to lose? There is no judgment for failure. 2. Since we pay for everything, no one has the rights to the ideas when we turn them into money. They “know” how we do it, but it is our idea. We encourage members to take the ideas and become Financially Free. A member will be able to select one our designs into making them Financially Free. I think that whether or not something is a complaint is debatable. People often need to vent, this could be seen as complaining. Solutions are not always possible. I think that I would feel stifled if this wasn't allowed. Similarly with gossip, some people think talking about others not in front of them is always gossip, but I find that an overly narrow view. Maybe I just don't like rules, who knows. We teach the members of the community to use I messages. An I-message or I-statement is an assertion about the feelings, beliefs, values, etc. of the person speaking, generally expressed as a sentence beginning with the word "I", and is contrasted with a "you-message" or "you-statement", which often begins with the word "you" and focuses on the person spoken to. Some problems in a relationship are not solvable. These kinds of problems are generally hard-wired into your DNA “Way of Working” by your respective personalities. You may be an introvert while they’re an extrovert. Maybe you’re neat, and they’re comfortable with messiness. Maybe you’re an atheist, and they’re a person of faith. These things are not likely to change over the lifetime of the relationship. It doesn’t make sense to try and “resolve” them. Trying to resolve them can cause prioritize, but an actual effort to understand your way of working and your partner’s way of working. It means learning to accept that difference doesn’t have to be painful and learning what can you live with to have this person in your life. Do you want to grow old with this person? When someone entering the community as a new worker/citizen/partner, do you evoke a trial period? Or do you have a list of accomplishments that need to be obtained prior or during the trial period for someone to become a permanent member/partner? We use two exercises before we even allow a person to visit us. After these exercises are completed then a 30-day visit is arranged. See https://permies.com/t/98063/Private-Bedroom-month-free-Sustainable for details. It is our opinion that a critical imbalance of food demand and food supply is coming. When the crisis does come, you have a choice to be a Grower, a Hoarder or a Detainee of the Homeland Security Dept. We have an Education and Research Centers in Lincoln City, Oregon. We experiment with Sustainable Growing Techniques, Permaculture, Off the Grid techniques using existing material to solve our food production challenges. Also, the Center is a Living and Learning Laboratory for Water, Energy, Shelter and Community Building. Why have plenty of Food, Energy, Shelter, and Water if you are living in a community that cannot work together? These are the guidelines we use to build a Community. When a person eliminates complaining they become a more creative, giving, loving, and grateful problem solver. Eliminating complaining does change your brain not in some magical, woo woo kind of way, but in a real physical way. The science is called neuroplasticity. It means that our thoughts can change the structure and function of our brains. You wear a small purple plastic bracelet and try to go 21 days without complaining. If you find yourself complaining during that time, you must switch the bracelet to the other arm. However, it's not just complaining about your own life - you can't criticize or gossip either. Problems are to be solved -complaints cannot be solved. For example, the statement, “I am tired of this rain” is a complaint. It is not just information - it is a complaint. The statement “I am tired of this rain, and I am getting wet” is a problem and can be solved. 3. Gossip is not tolerated – Gossip is a form of complaining about another person behind their back. They are what we call ANTS -Automatic Negative Thoughts. Thoughts are “Automatic” – they just happen. Do not try to stop them, but you do not have to say them out loud. Thoughts “LIE”- You do not have to speak every thought. Feelings (thoughts) are like waves; they just keep coming. 4. You will learn about your DNA way of working - There are nine (9) DNA ways of working. We have all nine, but one is our favorite. When you embrace your favorite way of working, you never have to work another day in your life. 5. TAGS (Talents, Attributes, and Gifts) - Each participant will be able to identify their top TAGs. Participants will be able to identify opportunities where they turn their TAGs into skills. This Improves one’s life’s satisfaction and mental health. 6. Fight - Flight or Freeze – the Amygdala is part of the brain that is wired for your survival. It is that part of the brain which determines, (when you are in a conflict situation, real or imaginary) you will “Fight” “Flight” or “Freeze.” The better you understand your Amygdala response, the easier for you to be able to resolve conflict situations faster. 7. Happiness - Gratitude fosters happiness. It makes it easier to cope with stress and Trauma. You will learn how to have a positive perspective which will allow you to encounter personal adversity like loss or illness and stay happy. Random acts of kindness foster happiness. Studies show that engaging in a random act of kindness — even if you’re told by a researcher to do so — improves your happiness level. 8. Increase Your Success Rate - By doubling your failure rate. Got an idea? Try it. If it fails, you learned something. At the Center’s Laboratory, since all the material, tools and money are furnished free, what do you have to lose? 9. Finding Joy – At the Center, you will be encouraged to focus on what makes you happy and bring your joy. You will be encouraged to focus on the “Desires of Your Heart” and enjoy the path to obtain them. We believe the means does NOT justify the end. There is no end to life’s journey, only the journey, at the Center you will learn to enjoy the journey. 10. The Power of Two – Two people are better off than one, for they can help each other succeed. For if either of them falls, the other will lift their companion and you both can enjoy a life time partnership. The success of a relationship comes not in finding the “right” person, but in the ability of both people to adjust to the real person they have found. This room is in a house on the banks of the Siletz River with free watercraft available for Kayaking, Crabbing and/or Salmon Fishing. This room is only available for one month for a person who wants to learn how to live sustainably. This is the way the Sustainable Living Center of Oregon is introducing people to a sustainable lifestyle. 1. Private Bedroom shared bathroom, kitchen and living room at $450/month. One month is the maximum stay. After one-month, other living arrangements can be made at other locations. 2. Up to 10 hours/week of free Sustainable Workshops concern existing sustainable lifestyles designs and community building. 3. Up to 15 hours/week of free supervision on new Sustainable Projects. Projects concern food, energy, water, and shelter. Only people who are interested in learning how to have a Sustainable Lifestyle should apply. You must complete the online Application and the attached “Way of Working” form to be considered. If you do not complete these forms, you will not be considered. The Center is on the banks of the Siletz River near Lincoln City Oregon. All workshops and projects are done at the Center. •	Phone service or cable not provided, but the internet is available. •	No Dogs or Children are allowed, but Cats OK — dogs and children allowed at the RV sites only. You will be able to select one our designs into making you Financially Free. If you have internet, you can participate. Just complete the application. … But If you keep doing what you been doing, you keep getting what you been getting. You will need six (6) things to have a Sustainable Lifestyle … Food, Water, Energy, Shelter, a Community, and Financial Freedom. We are willing to mentor a limited number of others. Click Here to see how we did and are doing it. We rent Kayaks and Catamarans as OUR financial freedom program to be self-supporting. This enables us to provide the Online Sustainable Lifestyle Mentoring no cost for at least one year. Mentorship is a relationship in which a more experienced person helps to guide a less experienced person(s). It is a partnership between someone with experience and someone who wants to learn. It is a one on one relationship; it is not a workshop. Mentoring, to be successful, requires time in which both partners can learn about one another and build a climate of trust that creates an environment in which the mentoree can feel secure in sharing the real issues that impact his or her success. A Successful Sustainable Mentoring relationship will last at least one year or longer. The speed of success is dependent on mentoree openness to learning. Some people are “not teachable” at times. We are now taking applications for next session of Online Sustainable Lifestyle Mentoring until Dec 31, 2018. There is no cost to be a participant in the 2019 Mentoring program. Yes, we are still doing TomatoBarrels in Lincoln City facing the Ocean. We now have working sessions Wed & Sun 1-5 PM at our Sustainable Living Center. We research and develop sustainable systems for food, energy, water, and shelter. Happiness - Gratitude fosters happiness. It makes it easier to cope with stress. trauma. You will learn how to have a positive perspective which will allows you to encounter personal adversity like loss or illness and stay happy. Offering compliments, saying "thanks," and expressing true gratitude to a person are all related, but they are different in a few notable ways. Thanks, for vacuum the meeting room I really appreciate you getting the meeting room ready for our meeting. Expressions of gratitude that are specific remind to a person not just that you're thankful for what they've done, but it indicates how their help is meaningful to you and makes them feel valued and appreciated. Founders of “the ten percent of successful sustainable communities” are often headed by a successful entrepreneur or have at least an experienced entrepreneur in their group. The book is referring mainly to the aspect of instinctive business savvy — someone with an inner “radar” about what will work financially. Entrepreneurs take risks, based as much on intuition as on experience. Of the 9 DNA Ways of Working only one that has the inner “radar” that will work financially based on intuition as well as experience, that way is the 8 DNA Way of Working. The founders of the Sustainable Living Center of Oregon is headed by a husband and wife couple, both that have the 8 DNA Way of Working. Assertive: Eights are confident and direct, say what they need to say and get on with things. Decisive: Eights are quick to respond and willing to make decisions. They trust their gut instincts and will move things forward. Protective: Under their toughness, Eights are bighearted and take people under their wing. They protect the people and things they care about and will fight against injustices. Independent: Self-sufficient Eights dislike being dependent on others and maintain their autonomy. Influential: Eights have their own way of taking charge and influencing others, which includes the capacity to influence the bigger picture. Just because a person has the DNA Way of Working of an eight does not insure success. EQ is what we call Emotional Intelligence. We have experienced that EQ can be increased, but your DNA Way of Working cannot. You are born with it. We raised three (3) heritage turkeys and they became Christmas dinner. This was the table setting. After dinner we played the game Imaginiff. It helps build a Sustainable Community because you have to thinks about the other members of the Community and how they are and how they think. It increases one’s Emotional Intelligence. The game is played in rounds. Each round, one of the players is chosen as the "subject" of a question. The question has 6 multiple choice answers. The question is read aloud and players vote on the answer they think is correct. Points are awarded to the players that chose the most popular answer. Imaginiff “Carl” were a flying object. Which would he/she be? Trying to "form" a community from disparate individuals is going to be tough, even if there is a shared, common set of beliefs. (The success record for the various 'utopian societies' is abysmal, mostly because there is an extreme shortage of perfect men or women walking around (sorry guys, I think I got the last perfect gal)). I'm not saying we shouldn't try, but recognize your shooting really high and put as many things on your side as you can. We are all occasionally short tempered, bull headed, short sighted, selfish, lazy, and sometimes lustfull (of both other peoples partners and their cool stuff). The larger the group, the greater the probability of someone dumping 'ick' into the common soup on any given day. Yes, it is tough to form a community from disparate individuals. We have been studying this subject for 18 years and have developed 10 "rules" that seen to work. We are only 6 years old, so the proof in the pudding. Our Community has no common belief religion,, political, or permaculture but want a quality life worth living. We have observed that 40% - 50% of a person living choices come their DNA way of Working. Each person starts by focusing on their DNA way of Working and they rate a 6 paragraphs quiz. We give them feedback on their DNA Way of Working. At that point, some run away and some stay and want to go further. We do this even for the local community. We have one lady from the local community who is a retired high school placement counselor with a masters degree, who has attended two (2) five hour meetings a week for the last year and loves it. If you would like to check out our process, Click to take Quiz and take the quiz and we will give you feedback. There is no cost or obligation. We have an 80-acre Ranch is 10 miles from the Pacific Ocean in Oregon. It is 7 miles from the nearest town of 1300 people with: riverside park; bank; gift shop, Grange Hall, bakery; restaurant; video store; (5) churches; grocery store; library; post office; roadhouse\sport bar; fuel station and mini market. The Ranch is the center of a Sustainable Community. Every person in the Community has and is committing time to increase their Sustainable Permaculture Knowledge and to develop a Life Worth Living. When a person commits to join us, they have to starting learning about their DNA Way of Working. There are nine (9) DNA ways of working. We have all nine, but one is our favorite. When you embrace your favorite way of working, you never have to work another day in your life. Some do not want to look at their DNA way of working and leave or they are asked to leave. Others want to know why they do what they do and want to stay to develop a Life Worth Living. Staying for two, three or four years is become common. We are only 6 years old. For more details we do this see attach document. The Center is at 6249 S Hwy 101 (Pacific Coast Hwy) in Lincoln City, Oregon 97367. Work done according to mutual agreed upon schedule. You may have a full time job. • Linens and towels are not furnished. • Internet, phone service or cable are not provided, but cable Internet can be added at additional expense of $30/month. • Local bus transportation near Center. Make a Bokashi Machine©. Bokashi is a Japanese term meaning 'fermented organic matter.' It is a two-stage process - fermentation stage, and a composting stage. Make a TomatoBarrel©. 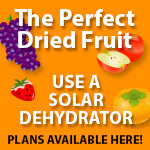 It is portable and uses the heat storing capacity of its water reservoir. This enables a longer growing season and minimal need for watering. 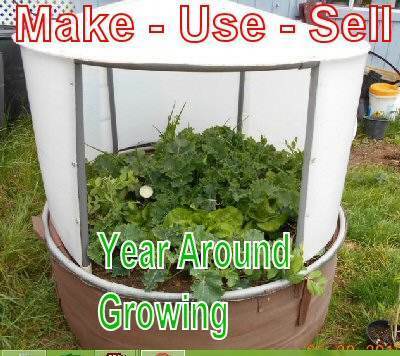 Build a Lettuce Tub©. It is a carefree technique that allows you to grow hydroponically without electricity, pumps, or wicks of any kind. Build a Yurt Cloche©. 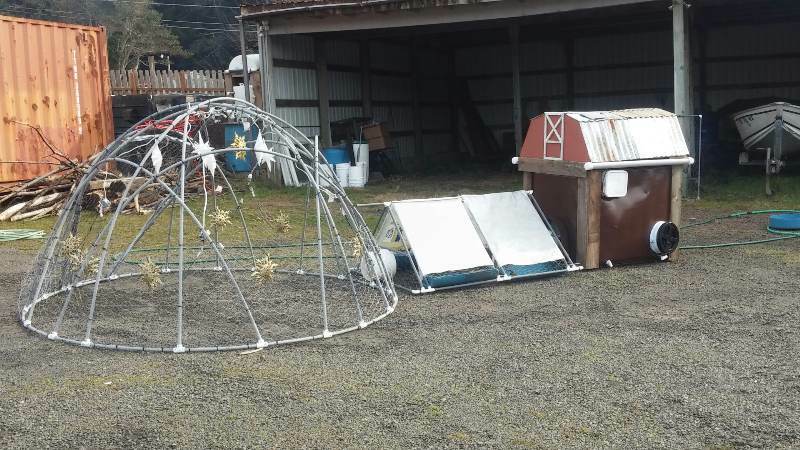 In the Maritime Northwest of the Oregon Coast, year-round growing is easier and perhaps the cheapest and easiest semi-permanent option for season extension is a Yurt Cloche©. If you send us a PM with your email, we will reply with a confirmation. Air-Crete put air bubbles into concrete and is a new form of building. We are still experimenting with the bestr way to build the molds, blocks and test it for the Oregon rainy weather. We are not ready to produce a DVD. Air-Crete is called cellular concrete, foam concrete, light weight concrete, aerated concrete etc. It is a lightweight material that contains stable air cells uniformly distributed throughout the mixture. It is a concrete which utilizes a stable air cell rather than traditional aggregate. Air-Crete is an eco-friendly building material, made from natural raw materials such as: sand (or fly-ash), cement, lime, gypsum, aluminum powder and water. This mix creates an aerated concrete providing insulation, structure and fire protection in one lightweight product. Crete is easy and inexpensive to make yourself with a small Air Crete machine called the little dragon. It is waterproof, fireproof, and insect proof. It offers good thermal and acoustic insulation. It will not rot, warp, or corrode. Unlike concrete which is hard, heavy, cold and difficult to work with, Air-Crete is easy to work with. It dries overnight and can be cut, carved, drilled and shaped with wood-working tools. It accepts nails and screws and is easily repaired. It had good compression strength to make excellent foundations, sub-floors, building blocks, poured walls, domes or whatever. It can be molded or formed into practically any shape. Air-Crete can cut cost of conventional methods of construction by a factor of 10. •	Dry feed – dish feeders collect water. The Chicken Fundraising Auction is over. The winning bid for our No Waste Chicken Feeder was $26. We offered the other top bidders the opportunity to purchase our No Waste Chicken Feeder at $26. We sold 3 more. We made 4 X $16 = $64 profit. That is the same profit we would have made by selling 32 dozen eggs and a lot less work. That is not a lot of money, but there is only 1535 members of the Chicken Auction Fundraiser Facebook Closed Group. Can you imagine what the profit would have been if permies.com with it 5.1 million view pages had hosted the auction. It would also help support permies.com. What do know how to build and sell? Think about it. We agree with the above statement. The problem is how to find enough people that are motivated. total for all time through then end of march 2017: 97.5 million visits, one can see that there plenty of interest. We agree there needs to be more permaculture demonstration sites. I would like to see hundreds of thousands of Permaculture demonstration sites all over the world. I would like to see hundreds of millions of people using permaculture on a regular enough basis that "permaculture" is a household word. I can see a path where 500 of us can make that happen through cooperation and hard work. We have been wrestling with this problem for 5 years and this is what we have accomplished. We do nothing but design “permaculture type” products and procedures. We presently have an 80 acre experiment ranch, two (2) demo sites, with a third coming on line this summer. 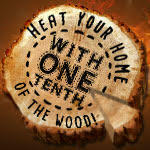 Our demo sites are directly on Hwy 101 on the Oregon Coast. We have 12 people who have committed to spend 25 hours a week to develop “permaculture type” products and procedures. The trouble as we see it is that we can’t get completely away from needing some money. People who try to live a Permaculture, Off the Grid, or Sustainable life style still must buy things. Even the pioneers of old had to get supplies from the trading post! You will need money to buy the things you can’t produce: for example, gasoline. Chores are largely focused on the production and preservation of food and livestock. That doesn’t leave much time to work a 40-hour work week. We understand the second golden rule. …….He Who has the Gold Makes the Rules……. You may not like this rule, you may not agree with this rule, but it controls the world. Watch the county Venezuela as the oil revenue “gold” continue to decrease. To be Sustainable, it is not just enough to have food, water, energy, and shelter, you need money. We can’t get completely away from needing some “gold”. We have seen more than one Homesteader give up because they could not make the payments. The intent of our Permaculture Demonstration Sites is to show our 12-residence members and the general public that they can use our Products and Procedures somewhere else with no strings attached. The Products and Procedures are designed that a person (with no interest in Permaculture) would purchase them because they see the value to them. Starts Sunday 4 – 6 pm, April 2, 2017 for (5) Sundays, 82 Siletz Hwy, Siletz Moorage, Lincoln City, Oregon 97367. There is no cost. 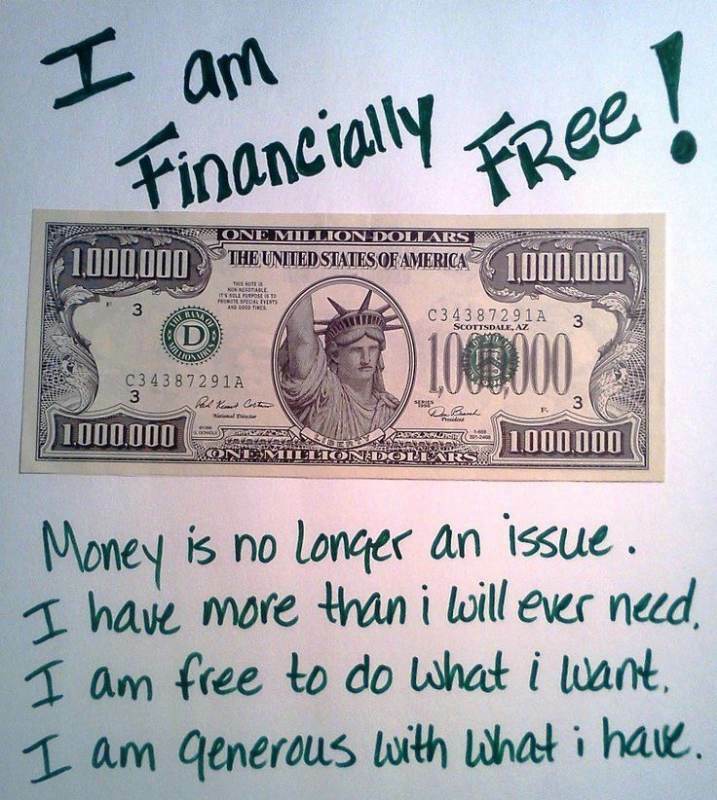 Financially Free means you can live the lifestyle you desire without having to work or rely on anyone else for money. It is not about becoming wealthy. According to statistics, nine (9) out every ten (10) entrepreneurs fail. Only 3% of all online businesses actually make ANY money. That is the correct path for you. 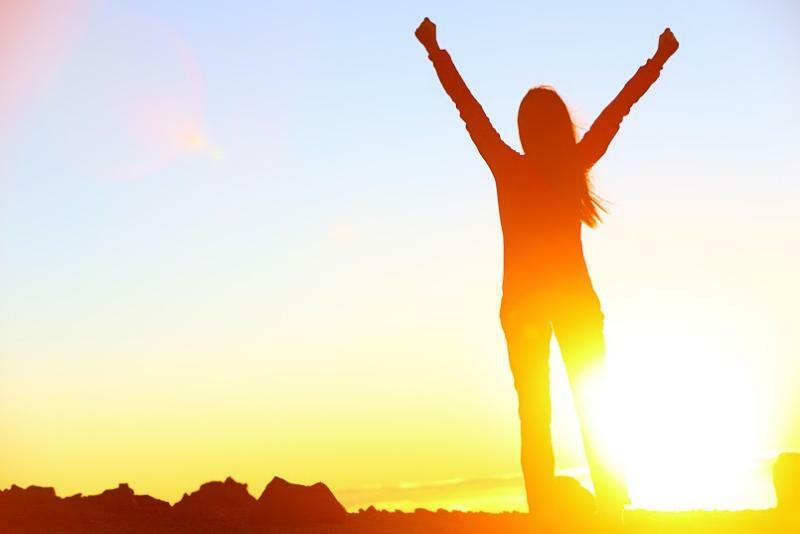 The successful people have achieved financial freedom through following their natural path. This is to say; they found the path that suited their nature. Could you imagine Richard Branson as a footballer, or Bill Gates as a fishmonger? No, they discovered the natural path. They were born with it and capitalized on it. They followed a path that they loved, their path offered least resistance and they excelled at it. Wouldn't you like to find your path and benefit from your natural strengths and excel? We are testing the possibility for a Permaculture Enthusiast to support themselves by making Sustainable types products to generate passive income. We would like to suggest that if Permies.com would set up an auction for Permaculture type of products and take just 20% of the auction price, it would help support permies and give each Permaculture Enthusiasts a place to sell their products. We are presently active in this type of auction. 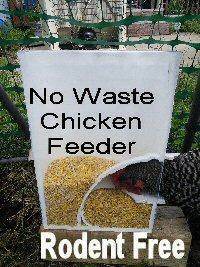 It involves our No Waste Chicken Feeder. Twenty percent of the final auction price goes to support the Poultry and Homesteading Fairs in Oregon. We know there is a market for our Feeders. For example, Dean, one of our associates, made the Feeders while it was raining this winter in Oregon and sold them, Feb 11, 2017 at the Oregon Poultry Swap in Eugene, Oregon. He cleared $524 after expenses. If anyone know of an internet site that has a large audience that might be interested in doing a Permaculture Enthusiast auction. Please PM us. One of the attendee of our workshops, Dean just did a venture of selling one of the Do it Yourself products. It was a No Waste Chicken Feeders. It was not one of the big-ticket items. It only sold for $25. He made the Feeders while it was raining this winter in Oregon and sold them last Saturday, Feb 11, 2017 at the Oregon Poultry Swap in Eugene, Oregon. He cleared $524 after expenses. This is not a lot of money, but for 6 hours works at the Swap and building feeders while it was raining, it pays some of the bills. We are waiting for one of the participates of our Workshops to start selling or rent one of the big-tickets items like the Chicken Sanctuary. The Chicken Sanctuary offer all the advantages of pasture free range eggs with the protection from predators. Within two days of the arrival, the chickens will lay eggs ready to use! Two (2) chickens should lay 8-14 eggs per week. We have tried these approaches and they work, but they did not generate enough income to solve our homesteading money problems. What we needed was a big-ticket item to produce more income. So, we have developed three projects that we can make, use, rent or sell to produce a larger income. 2. 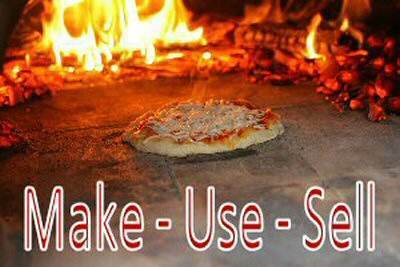 Make and Sell Movable Earth Pizza Ovens, for backyard pizza parties where the oven is stored in the garage. 3. 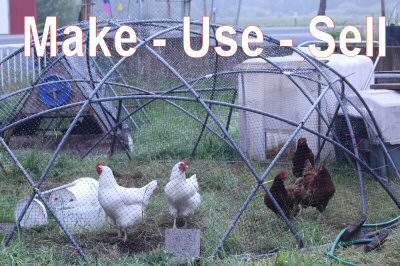 Make and Sell Yurt Cloche, for a longer growing system. 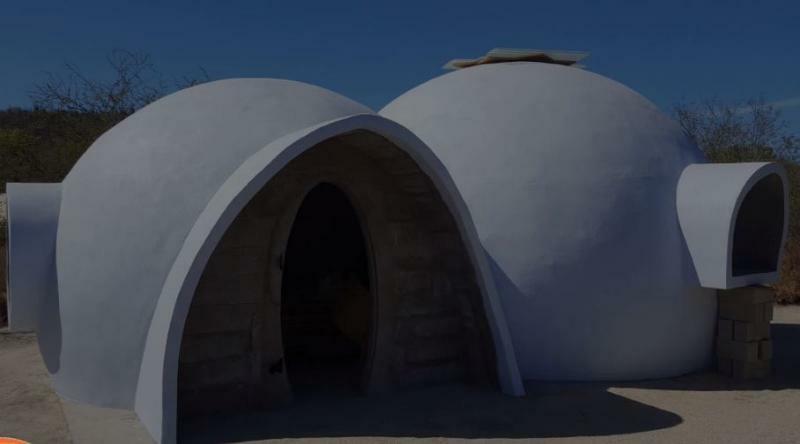 It is a self-wicking system with a solar and heat storage system that looks like a Yurt. All these projects sell or rent for more the $500 and can be made from material purchased at HomeDepot. We are making them during this winter and sell them all year as source of income. An addition benefit is that we use these projects ourselves. All the projects have been built, and we are presently testing and improving them. 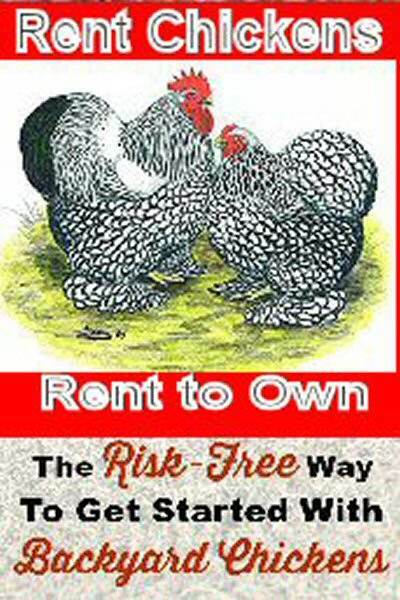 We have just started to market Rent to Own Chickens system. A new project on the drawing board is growing hazelnut trees with truffles. Hazelnut trees grow well on the Oregon Coast. Truffles can sell for $300 - $1000 a pound. There is a Truffles Festivals in Eugene Oregon the 27 -29 of January which will explain how to do it and we be in attendance to learn more. We will be demonstrating our Rent to Own Chickens program for the first time at the Homestead Faire in Eugene, Oregon Feb 11, 2017 at the fairground. We will keep you posted if there is any interest in our progress. Where can we order the plans? We have tried a community compost, but gave it up for the same problems as posted in this thread. We have been wrestling with the problem of how to support yourself while you are trying to "Live Off the Land," for five years. 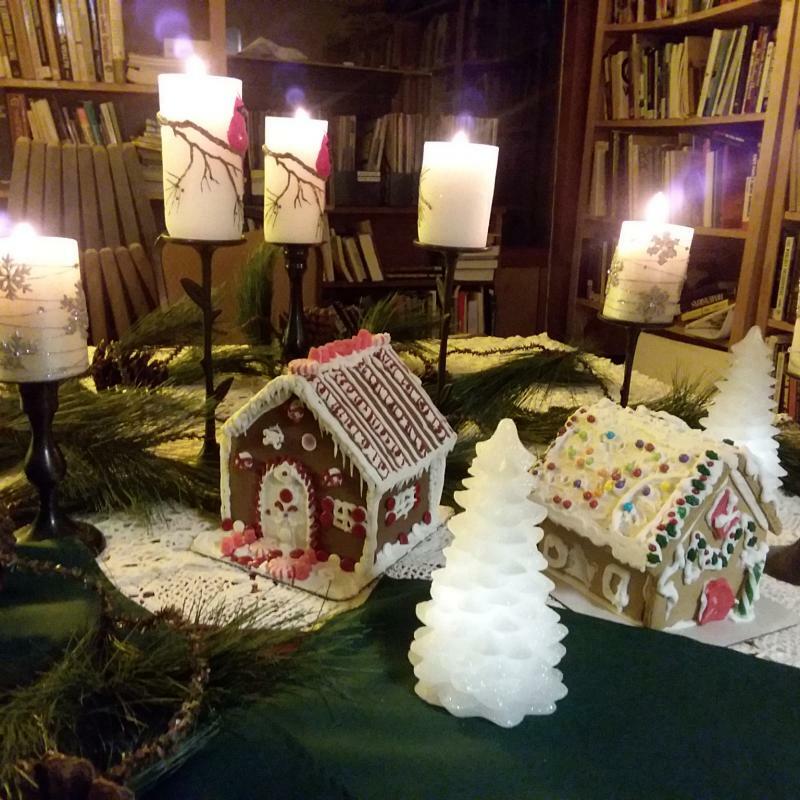 We have found ways that "Permaculture Enthusiasts " can work during the off season, on their land, and make enough money to support themselves for the rest of the year. You never leave the land and have to get a job to support yourself and you do not have to know anything about Internet marketing. The Sustainable Living Center of Oregon has developed a line of big ticket permaculture products. By attending a Workshop November 12 -19, 2017 you will learn how to build products during the winter and sell during the summer. The cost of week long workshop is $495 plus your lodging. Each of the products can be sold for more than the cost of the workshop. This is a “hand on” workshop. You will build the products! In essence, you will learn how to manufacture a line of products with no royalty, overrides, or franchisee fees. 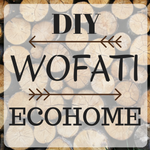 Once you learn how to build these products, all the products are “Do It Yourself” products and can be manufactured with material that can be purchased at your local hardware store. The prices listed below are suggested. You may charge any price and you keep all the money. The Following are some of the products that will be built, by you, during the workshop. This is not a lecture Workshop. All the material and tools will be furnished, but the furnished product stays at the Workshop. There are lots of hawks in our neck of the woods. We have five acres without any substantial barrier to the rural community around us. We're about to start raising chicks. I would like to free range the chickens within and around our property. I've seen several hawks and a few foxes on our property. We don't have a livestock guardian dog or fencing yet. I plan on getting a coop and securing the ladies every night. Am I naive to think that they'll be fine on their own during the day? Or is free ranging them just putting up a buffet for local predators? Will I need to give up on free ranging and keep them in a chicken tractor or portable fence system constantly? Portable fences also don't seem like they will help manage the threat from hawks. I'm sure this problem has been addressed millions of times. Anybody got any effective, low-cost solutions? This may be a little late, but we had the same problems with hawks and we solved it by developing what we call a Chicken Sanctuary. We have taken a different approach. We have tried to build something to store heat, which we have done, but the lack of sunlight in Oregon during the winter appears to be our next problem. We can grow tomatoes until Thanksgiving. Design the chicken roosting area (cube) to look like a Favorite Barn, Rubik’s Cube, Chicken Hotel etc. It is 9.5 feet wide and 5 feet high with 71 square feet of run and free range natural diet area. The dome is light and can be moved comfortably by one person because is made out of pvc pipe and covered with deer netting. It can house up to six (6) chickens. 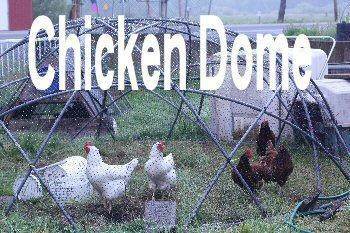 By moving the Dome, the chicken run area never has to be cleaned and the chickens have a Free Range Diet. The chicken poop just fertilizer the ground under the Dome. The Cube contains all the feeding, roosting, and egg laying systems. It is a 4’ X 4’ X 4’ solid plastic walled cube. The plastic bottom floor is replaced with a wire floor. This is in order that the chickens waste will fall on the ground instead the cube’s floor. There is a bucket inserted sidewise into the Cube for eggs laying with a black rain proof screw off lid. The cube has a opening in the top for ventilation. A No Waste Chicken Feeder is placed outside at end of the Cube. It is elevated to a comfortable height for the chickens to eat. 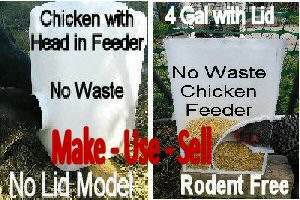 This feeder completely eliminates mess, waste, and provide clean and poop free feed for the chickens. 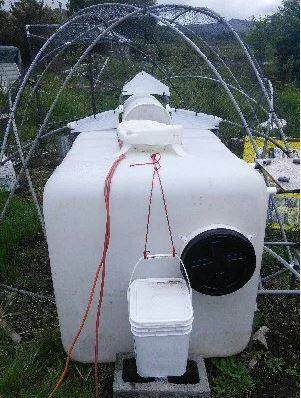 It can hold up to a 100lbs of Chicken Feed and it is rain proof and rodent proof. As the Dome and Cube are moved, the Feeder can be moved by sliding it on its rails. Below is our version of Paul’s Army plan that we are presently using. Feel free to use any or all of our plan. Passive: heating, cookers, ovens, dryers. Urine: Liquid Gold, safety, regulation, collection. 1. Live at Center Free with Barter Labor-- If you provide your own housing in the form of self-contained (Rig) RV, Travel Trailer, or 5th Wheel, free electric, available water, and sewer, plus two 4-hour weekly mentoring workshops will be provided, in exchange for Barter-Hours of labor. The Center is on Hwy 101 (Pacific Coast Hwy) near Lincoln City, Oregon 97367. 2. If you do not have a self-contained Rig. A private bedroom and private bath in a two-bedroom house at the Center plus two 4-hour weekly mentoring workshops will be provided, in exchange for $350/month and Barter-Hours of Labor. 3. Live on 80-acre Ranch Free with Barter Labor- This option is only available after you completed the Apprentice Program, which means living 120 days living at the Center. If you provide your own housing in the form of self-contained (Rig) RV, Travel Trailer, or 5th Wheel, you will receive free electric, water, sewer hookup, plus two 4-hour weekly mentoring workshops, in exchange for Barter-Hours of labor. 4. Attend a Sustainable - Permaculture - Off the Grid 4-hour Mentoring Session. The cost is $25/session, but you have to make you own housing arrangement. Barter-Hours the time requirement to learn, develop, maintain and improve the Center. There is no obligation for anybody to stay any length of time and they may leave at any time. Qualifying Rig defined as a self-contained RV, 5th Wheel, or Travel Trailer with a working toilet, kitchen, shower and heating system. Tents, Yurts, Pickup, or Tent Trailers do not qualify. No Rig If you do not have a Qualifying Rig, options may be available at the Centers. There is a fee of $350/month for a private bedroom and shared bathroom. •	Electric - One 15- amp circuit is provided; Electric heaters, clothes dryer or electric water heaters will require a 30-amp circuit. If a 30-amp circuit is required, then the circuit is metered and Rig must reimburse the Center for the electricity used. 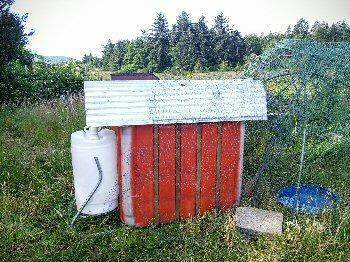 •	Dump Station, Bathroom or full septic hook up. Twenty-one (21) Barter-Hours /week are required per Rig with one person. The Barter-Hours is increased by 4 Barter-Hours for each extra person in the Rig. If the extra person is over the age of 12, the 4 Barter-Hours is required to be spent in one of the two weekly Mentoring Sessions. If they are under the age of 12 the hours are added to the Rigs Barter-Hours. All participants start with the Apprentice Program, which is 120 days. During that time the participants will be housed at one of the Centers. After a participant completes the Apprentice Program they have the choice of moving to the Ranch or stay at a Center. During the Apprentice Program the participant will be directed of where and how the twenty-one (21) Barter-Hours are to be utilized. Eight hours will be spent in two (2) four hours Mentoring Sessions on Sunday 1-5pm and Wednesday 1-5pm. Thirteen hours (13) Barter-Hours will spent on working on assigned projects according to the participator’s time schedule. It is possible to “Bank” Barter-Hours to allow the participant to have weeks with time off. The Apprentice Program Mentoring Sessions is held at one of the three (3) Centers. Center-3 is located at the 4-H Garden in Toledo. Each is located within 27 miles of the Center. There is no difference in the value placed on one person’s Barter-Hours over another person’s Barter-Hours. A person building a greenhouse is valued the same as a person cutting the grass. The Centers and Ranch are on the Oregon Coast so there is always the possibility of interruptions, or, “Acts of God”, at one or all of the above facilities. Downed trees interrupt electricity, drought causes the wells to go dry, and septic lines get clogged, trees block roads, EMP, Total Financial Collapse, etc. These interruptions are a sample of what a participant could expect if they were living totally Off of Grid. There are no additional Barter-Hours increased for this training, likewise there is no decrease in Barter-Hours when any interruptions occur. It is part of the learning process. A Community Garden area is available if a participant wants to have a Sustainable Garden, but it is not a requirement. The garden areas are to encourage members to grow food without startup costs such as fence, water, and electricity. A member receives all of benefits of these areas. A member can to use the food, can it, or preserve it, but not sell or barter it to anyone outside of the Community. A member cannot give the right of the garden area to another person, as the ground belongs to the Leadership and, only the food the participant produces is theirs. If you decide to sell to someone outside the Community, then food you sell falls under Money Making Option One. In the Community Garden area each Rig may have one (1) 12’ X 12’ space in the garden area. If a member decides to have a garden, they must provide all needed supplies. Examples of garden supplies are: seeds, plants fertilizer, compost, wood chips, etc. Tobacco – Smoking is allowed anywhere except in the Center house, Community Kitchen, Community Room and the Center vehicles. Alcohol – Drinking is allowed, but addiction or habitual drunkenness will be grounds for immediately termination of this understanding and require immediately leaving the Center. Drugs - No illegal substance allowed or grown on the Center. Marijuana medical or recreational marijuana, even though it is allowed in Oregon, is not allowed on the property. Violation of this will be grounds for immediate termination and requires leaving the Center immediately. The Center supports, administers and funds the Just Wait Teens Program. The program rewards teens that graduate from high school Drug, Alcohol and Tobacco free. 1. Written financial staying power to provide food, propane, auto fuel, cell phone or internet and repairs for their personal needs. 2. Demonstrate a willing to work and have a work ethic. 4. Establish that all parties are in a Win-Win situation. If the participate does not feel it is a Win for them, they will be ask to leave. 2. Willingness to learn and understand how people work differently. During the Apprentice Program a participant will be exposed to many new and marketable processes\products. The Center will attempt to match a participator’s interest and their way of working with these new process\products. Some of these process\products (Brands) can provide a source of income. A member can receive up to 20% of that income. This income may come from of leading local workshops fees, kits, online marketing, and\or selling our products. Since the Leadership supports all process\products by their expertise, material, tools, space, utilities and Barter-Hours all process\products (Brands) belong to the Leadership. The “Brands” belong to the Leadership. 1. Learn how to survive without any modern stores, utilities, fuel, etc. There is an on-line application and visit is required before any commitment is made by the Center or participant.